This is Corey Maison. She’s transgender. And under new North Carolina laws, she would be forced to use the men’s bathroom. This is the powerful message that photographer Meg Bitton is trying to get across. Her photo of Corey is the latest image to go viral in response to North Carolina’s new legislation – prohibiting transgender people from using bathrooms that reflect their gender identity. Under these new laws, Bitton is trying to get across to those that don’t understand the importance of equality by getting them to imagine how they would feel if Corey was their daughter. Original Post: If this was YOUR daughter, would you be comfortable sending her into a men’s bathroom? Neither would I…. If this was YOUR daughter, would you be comfortable sending her into a men’s bathroom? Neither would I.
Corey Maison is transgender. She was born with male anatomy but identifies as a female. Under the new laws, SHE would be forced to use the men’s room. Therefore, I would not be comfortable sending HER into the men’s room if she was my daughter. Be fair. Be kind. Be empathetic. Treat others how you would like to be treated. 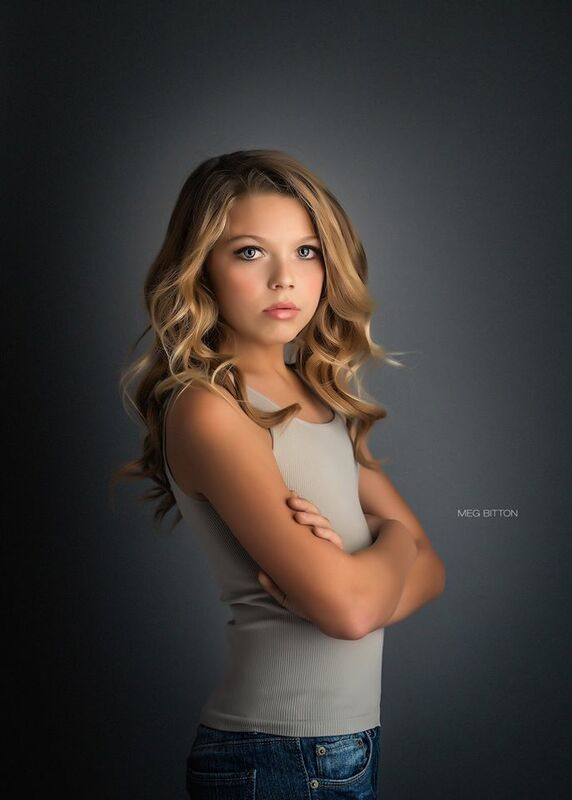 The photo – which has been shared more than 14,000 times — shows Corey pictured and edited the way she wants to be seen, according to Bitton’s Facebook post. Britton said to those criticizing Corey: “Corey helped with her make up and I edited the image FOR her, the way SHE would like it. Not for me and certainly not for any of you.” Too right. Many others are also in disbelief of the new American law – with Bruce Springsteen, Demi Lovato and Nick Jonas being just a few. Lovato and Jonas, who are currently touring together, have announced they will not perform in the state while its anti-LGBTQ laws are in place. And Bruce Springsteen has also announced the same. It’s outrageous that in this day in age, things like this are even still being discussed. As for the people who put this law into place, shame on you.